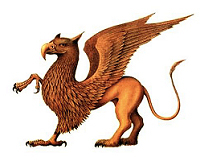 We at Web Griffins Design have combined our strengths and intelligence and over 30 years personal experience with computers and various small businesses to form a powerful entity in the website design, website hosting, and website maintenance market. The Web Griffins are commited to providing high quality, low cost website design services and support to small businesses. You can view samples of our website design work on our Portfolio page. Each website is custom designed to the owner´s satisfaction. We work closely with each of our clients during the entire website design and building process and strive to foster long term relationships. Want to update your current website? Tired of the same old website design? We will work with you to spruce up your existing website. Paying too much for your website hosting? We'll provide website hosting for your site for only $75 per year! Do you want to establish a Facebook Page for your business? We will set one up for you to maximize your exposure! We also design and produce business cards, brochures, flyers, postcards and any other printed material with prompt turn-around. The Web Griffins also do PC Cleanups, Upgrades, and Virus Cleanups at a reasonable rate and are very well known for their custom built PCs! 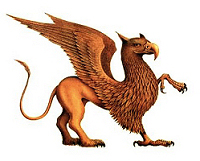 The Web Griffins at Web Griffins Design, LLC have selected several companies to advertise on this website. We have found these companies to offer some of the best deals in computer software and hardware. For example, everyone needs to replace those ever emptying print cartridges. The vendors we have chosen offer great deals on print cartridges and we strongly suggest you take advantage of their offers.